Barring any last minute change of mind, the President of the Senate, Dr. Abubakar Bukola Saraki, has concluded plans to sue Cable News Network over a report linking him with the April 5, 2018 bank robbery in Offa, Kwara State. The CNN had reported that Saraki was linked to suspects involved in the bank robbery in which no fewer than 33 persons, including nine policemen, were killed. The report was said to have angered the president of the Senate. 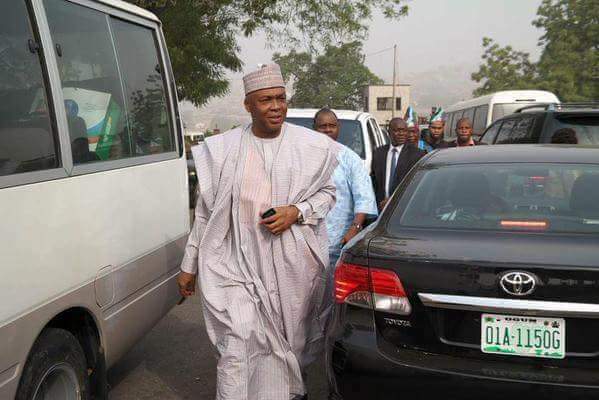 A source added that Saraki has concluded arrangements to contact his lawyers in the United States of America to sue the international news medium. Five members of the criminal gang that took part in the robbery already arrested by the police had told mentioned Saraki in their statements.